As many as 1,000 children could be languishing in care because of delays in approving adoptive parents, costing councils tens of millions of pounds, research has found. A survey by charity Adoption UK of 179 people who have been through the adoption process revealed 27% were turned away from applying by the agency they first approached, while a further 29% were rejected by three or more agencies. When asked why, 17% were told the agency was not recruiting while 13% were told their ethnicity did not match that of the children in the agency’s care, even though this contravenes legislation on suitability. More than one-third of adopters considered suitable waited more than six months for their application to be accepted; 12% were kept waiting for more than a year. Applications should be accepted within one to three months of the adopter contacting the agency, according to Adoption UK. Of those whose applications were accepted by their local authority, 23% had to wait longer than six months for their preparation and home study to start. The findings indicate that “urgency is lacking in progressing the interest of prospective adopters”, Adoption UK stated, despite a national shortage of prospective adopters and when 4,000 children in care were waiting to be placed. If the responses to the charity’s survey represent national practice, adoptive families and about 1,000 children in care are losing out each year. 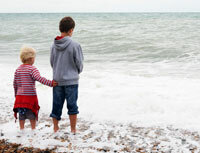 This is likely to cost councils dearly – the average cost of a looked-after child a week was £774 in 2007-8. “Although the majority of adopters going through the process to become adoptive parents are experiencing good practice, too many are subjected to long wait times and bad practice – if they get through the front doors of the adoption agency at all,” said Jonathan Pearce, chief executive of Adoption UK. In November, children’s minister Tim Loughton announced that his department would be updating adoption guidance to make it clear that race should not be a barrier to placing children for adoption, telling Community Care there were still “too many hints of political correctness” in the system.